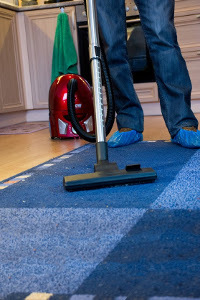 Barnet Cleaners provide professional cleaning and home improvement services in North London. Find the professional cleaners in Barnet for all your needs and requirements and arrange cleaning services EN4 for your household or commercial property in just one phone call. Make a difference to how you manage your daily life with the help of expert cleaning professionals, specialised equipment, and convenient booking slots that will fit in your work schedule and family routine. Whether you’re making a big change in your life such as moving house, or you think it’s about time you got help with the cleaning in Barnet on a regular basis — we have the solution for you. Order carpet cleaning from us and take the kids to Belmont Farm while we’re on the job. Your carpets will be dry and fluffed up before you’ve got to the Waffle Cafe. Enjoy an exhibition at Arts Depot instead of scrubbing the windows, or schedule a same-day oven cleaning and your oven will be spotless just in time to cook the fish you bought from The Burnt Oak. We work while you play. It’s simple like that! Your one-stop-shop for all kinds of cleaning Barnet services, we make it easy for you to manage the mundane tasks of maintaining a household or a commercial establishment. Free service estimates and fixed rates — no deposits, contract obligations, or agency fees. Customer care around the clock — our representatives are on hand 24/7 for bookings and queries. Background-checked professionals with years of experience in the industry. A wide choice of booking appointments including weekends and Bank Holidays. Same cleaner will be responsible for maintaining your premises. Domestic Cleaning — you are completely in control of your cleaning service. Choose from a regular domestic cleaning service or freshen up your home with a one-off spring cleaning. End of Tenancy Cleaning — moving house is enough stressful as it is and when you add the leasing agreement requirements, a hassle would be an understatement to describe it! Our end of tenancy cleaning service guarantees tenants getting their deposit back and helps landlords and estate agents boost the lease value of the property. Carpet Cleaning — whatever type of carpets you have at home, arrange a prompt carpet cleaning service and we will them look brand new! Oven Cleaning — now that’s a chore. It’s like the chairperson of the chore department. But we have the expertise and equipment to handle it as well. Window Cleaning — when sunlight just makes you shudder at how stained and smudged your windows have become, book window cleaning to enjoy natural light and soak up the last of the sunbeams! Rubbish Removal — don’t bother with your council’s rubbish disposal fees and hours. We have a rubbish removal service for regular curbside collection, after-builders waste collection and even furniture disposal straight from your property. Gutter Cleaning — it’s necessary and it’s risky. Leave it to the professionals to deal with the hard to reach places where leaves and debris are blocking the water from draining. Book maintenance for your gutters and save yourself costly water damages and property complications. Don’t forget you can make serious savings when you order more than one of our services. Ask us for your tailored service package that comes with a special discount for you! Our client centre is open 24/7 so you can get a free quote on a service of your choice at all times by calling 020 7846 0225. We also have convenient online booking options — enter your details in our contact form to arrange a call-back or start a conversation with a company representative now via our live chat facility. Contact us today and leave all tedious tasks to the professional cleaners in Barnet.